A breath-taking show in spring when the edge is bright yellow. 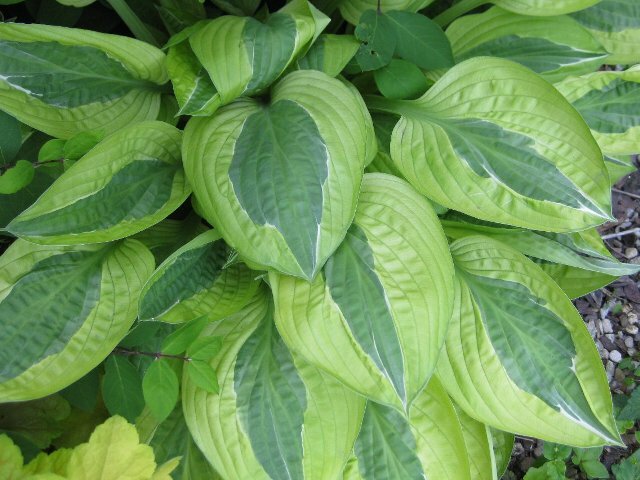 It turns apple green later on, with the white strip of Hosta 'Striptease' between the centre and the margin. Click the button below to add the Yellow Polka Dot Bikini to your wish list.